HVV services are provided in an area covering 8,700 square kilometres. 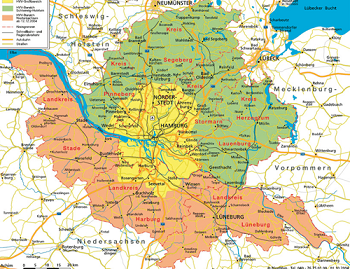 That’s the whole of the Free and Hanseatic City of Hamburg, all the bordering boroughs or counties in the regional state of Schleswig-Holstein and Lower Saxony. The HVV service area is home to approximately 3.34 million residents.